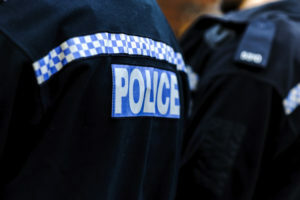 Misconduct procedures are taking “far too long” to resolve at West Yorkshire Police. Craig Grandison, Vice-Chairman of West Yorkshire Police Federation, said officers and their families undergo “terrific stress” and that more needs to be done to ensure that the Independent Office for Police Conduct doesn’t take on investigations where there is no case to answer. Craig was speaking after it emerged that only five police officers in England and Wales were dismissed in the last three years. In 33 cases of Gross Misconduct investigated by the IOPC, the most serious disciplinary charge that could be levelled was not proven. Craig said: “The numbers speak for themselves. Clearly there is something wrong there. We know that some cases take up to 10 years. “I’m aware of a case in West Yorkshire that took eight years to result and one of our sergeants being under investigation for that whole period of time. “At the end of the process they’re relieved when they’ve been found not guilty, but for the whole length of time that investigation is going on there is a massive amount of stress on those officers. “In some cases they may have been suspended, in other cases they’re at work on restricted or modified duties meaning they can’t do the job that they joined the police to do. The Police Federation of England and Wales has said the legal test used to determine if a misconduct case should go ahead needs to be reformed. Craig added: “I think the IOPC now needs to look very, very carefully at the cases that they have in front of them and they need to take cogniscance of what the professional standards departments are saying. “We know that professional standards departments are advising them on a lot of the cases saying, ‘there is no case to answer, the chances of a conviction or a sanction from those offences is low or non-existent’, but they still insist on taking them on. “No one is saying that police officers get away with things. If someone has done something maliciously wrong or something criminal, then they should be investigated and they should have the appropriate sanction levelled at them. “However, a lot of these cases are not; it is just people doing their job that have made a minor error of judgement or a mistake.